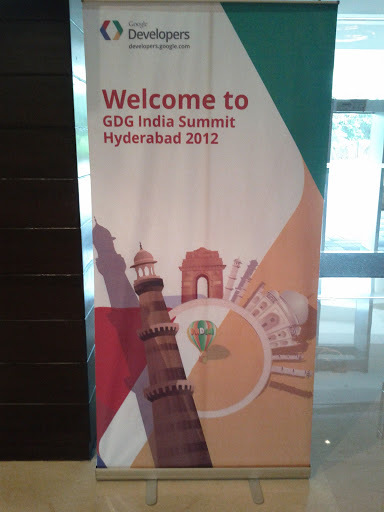 GDG community managers from Southeast Asia were invited to join the India community managers in the GDG India Summit in Hyderabad (December 29-30). Initially, all of the community managers from Bacolod, Baguio, Cebu, Davao, Manila and Zamboanga were supposed to attend the summit. However, due to problems in the Indian embassy (they say their machine is not working and they won't be able to process it until the 28th, only five of us were able to join: Chelle, Anne, Josan, Bryan and me. The five of us went to NAIA Terminal 1 on the afternoon of December 27. Our flight to KL was delayed and when we arrived there for our connecting flight to Mumbai, we run to the monorail and then to the plane. When we arrived at Mumbai, we processed our VISA. We were informed by Malaysia Airlines personnel that our baggages got left behind in KL and will be delivered to the hotel the next day (December 29 because it is already December 28 that time). It took hours for our VISA to be processed and we went to the domestic terminal via shuttle bus. There, we had a bit of breakfast and rest. We then boarded the plane to Hyderabad. We arrived early morning of December 28. We waited a few minutes for our cab which will take us to the hotel. It took us around an hour to arrive at Westin Mindspace Hyderabad, where we stayed for more than two days. We informed the hotel that our baggages will be arriving there soon. They were so kind to give us a care package with a shirt, toiletries and other stuff. 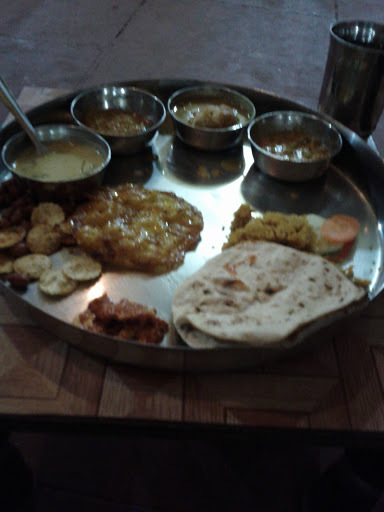 We rested the whole morning then had lunch with Uttam, Bhumi and Anash. After that, we rested again while Mam Chelle and Anne went for the spa. In the evening, we went to the nearest mall, Inorbit Mall and bought personal stuff at Hypercity. We also bought food at KFC. Their curry chicken tastes so good. After arriving at the hotel, Josan, Bryan and me went for our spa. After that, I had dinner and slept. The next day was the start of the summit. We had breakfast at the hotel then took the shuttle bus ride to the Google India office. When we arrived, it was almost lunch time and we ate there. After lunch, we went to a meeting room. Uttam welcomed us and talk about Story telling. We had a quick tour of the office then ate the Android cake. After that, the GDG community managers presented about their chapter's past events and future plans. We left before seven in the evening to go to Dhola ri Dhani. It was a pretty good place. We had dinner and it was pretty good! When I got back to my room, I fell asleep easily. The next day of the summit was held in Ballroom 3 of Westin. I woke up late and we had a quick breakfast. We went to the ballroom. The other community managers who were unable to present yesterday had their chance to present. Ater that, there were two workshops: public speaking and organizing events. Ma'am Chelle was the one who conducted the events organizing workshop. At around three in the afternoon, our baggages finally arrived. I had a quick shower before fixing our stuff because we need to check out at around five o'clock and go to the airport. In the airport, we said goodbye to Josan and Bryan who will still be going to New Delhi while Mam Chelle, Anne and I will be going back to Manila. Our next flights are pretty good. When we arrived in Manila, we hurried back home to celebrate New Year's Eve and rest. It was a pretty great experience despite the long flights, the loss of our baggages, and even if we were unable to explore the city more. I would love to go back to India next time, with Celine.